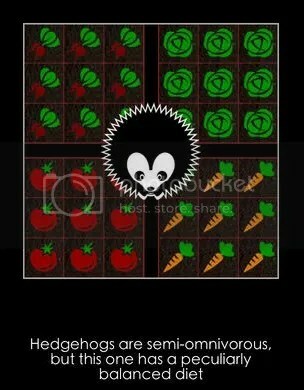 Our resident app player and puzzle fiend Sherri has another intriguing game for us today, so let’s get down to business and dive into her review of Hedgehog Gardens for iPad and iPhone! Hedgehog Gardens is an iOS game that offers a cute twist on a simple counting game. But in this case, it isn’t so simple at all! A pretty efficient hedgehog has taken up residence in the Back Garden. His goal, and yours, is to clear out all of the vegetables. To do this, you must number the tiles from 1 to 36, while following specific rules. In much higher puzzles, you must count even higher! Each Back Garden puzzle is divided into four different sections, each of which is filled with a different vegetable. 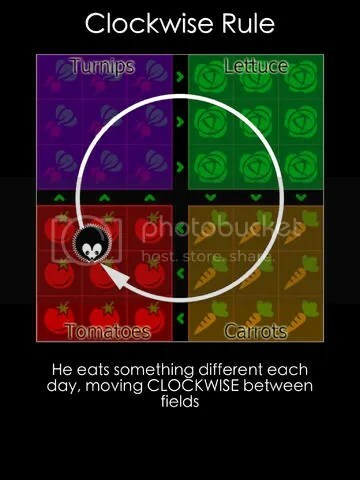 There are three rules to follow in order to clear the vegetables and number the tiles: you must move clockwise around the board, you must move in a straight line from section to section, and you can’t revisit a tile. Now don’t panic about where to start because when you start a puzzle, some of the tiles have already been numbered. Your goal is to complete the puzzle by guessing the remaining numbers and having the hedgehog follow a path from 1 to 2 to 3 and so on. Once you complete enough Back Garden puzzles, you open up the Orchard, which has its own set of rules. There are other sections you can open once you complete enough puzzles. 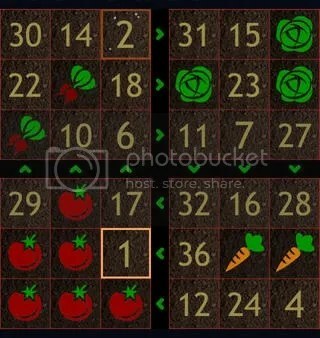 If you enjoy counting and Sudoku-type games, this is a great game to play. You get over 1,000 puzzles spread over several sections. However, all of the puzzles are not immediately available. The more you play, the more you open. The sheer volume of puzzles will keep a player busy. Counting and Sudoku-type games aren’t really my thing, but I find myself playing a puzzle here and there because they are puzzling and almost soothing. They are a pleasant way to work the mind. And I have to admit, the rolling hedgehog is very cute. Enjoyability: 3/5 — If you enjoy Sudoku-type numbering games, this one is for you. The sheer number of puzzles, over 1,000, should keep you occupied for a quite a while. How well puzzles are incorporated: 4/5 — The puzzles get progressively harder and bigger the later you go into each section. Since each puzzle has a unique solve, you really need to think and puzzle out how to complete each one, especially with the rule changes in other sections. Graphics: 2/5 — They’re pretty basic, just static pictures related to each particular section. For example, pictures of vegetables in the Back Garden. The rolling hedgehog is rather cute. Gameplay: 2/5 — It’s pretty much the same thing through all of the puzzles. There are different rules for each section, but you’re really just counting. There isn’t much variety. This entry was posted in Games, PuzzleNation, Puzzles and tagged andrea sabbatini, app review, clockwise, counting, games, Geeking Out, hedgehog, Hedgehog Gardens, IOS, iPad, iPhone, path-finding, Pop culture, product review, PuzzleNation, Puzzlin' fool, Sherri, Sudoku by gmdirect. Bookmark the permalink.